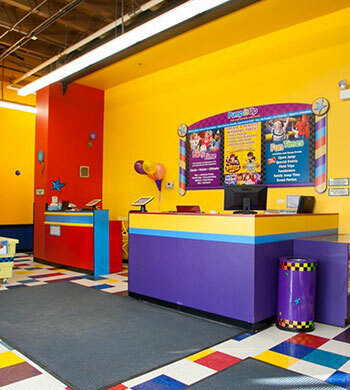 Welcome guests, check in and sign our electronic waivers at our easy to use kiosks. 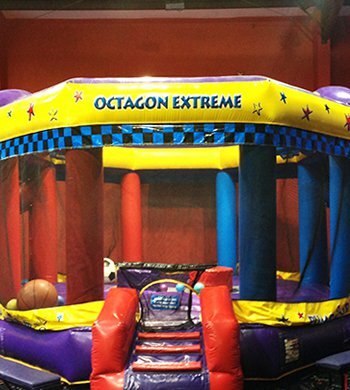 Our Arena A features the Octagon Extreme (with soccer and basketball), an Obstacle Course (race a friend! 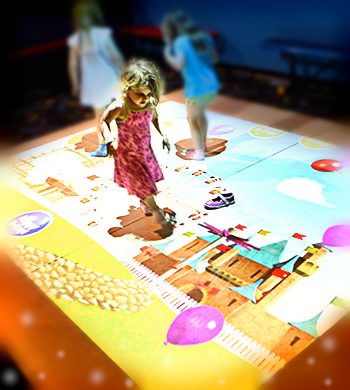 ), a 20' Slide, Motion Mania, and Imagination Blocks. 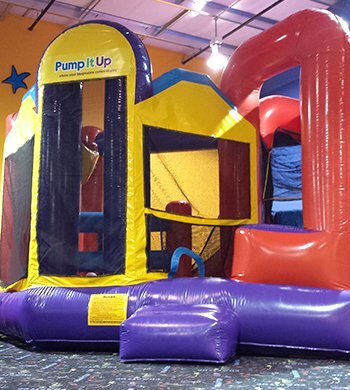 This isn't your basic bounce house. 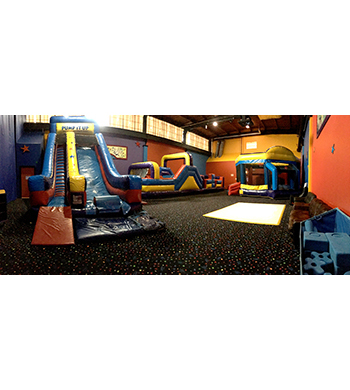 It also has soccer goals and basketball hoops for a quick pick up game. 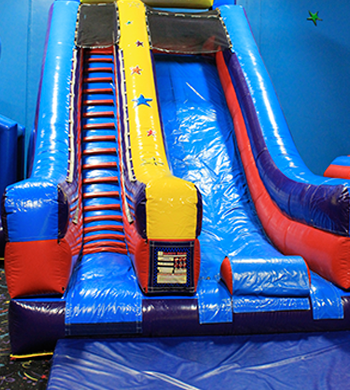 Get your gears turning on this 20' Single Slide in Arena A. We see some incredibly happy faces coming down this slide! 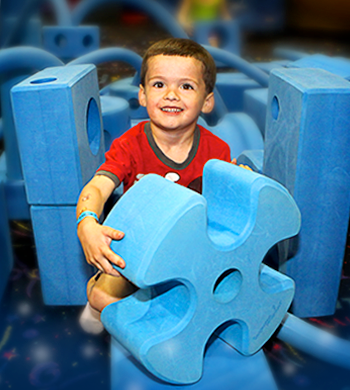 Turn these blocks into a tower, a fort or a bridge - whatever your kids could possibly imagine. 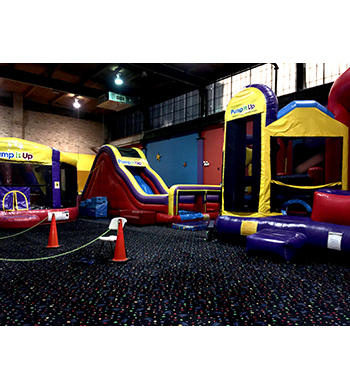 Arena B features the 5-N-1 Ninja Bouncer (bouncing, obstacles, climb, slide and basketball), the Double Drop Challenge, the Trilenium Combo and a 20' Rock Climbing Wall. 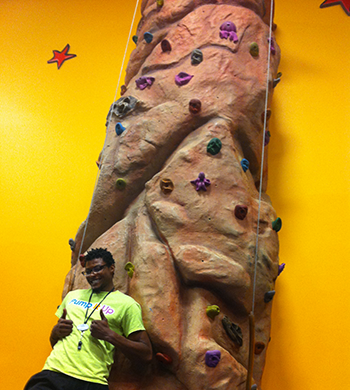 Enjoy our three course Rock Climbing Wall located in our Arena B. 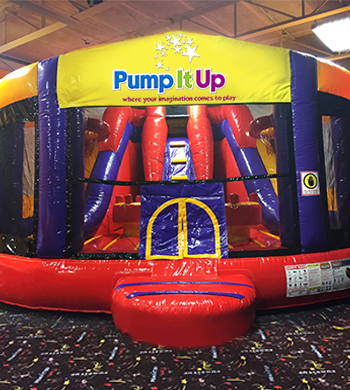 Our newest inflatable includes obstacles, a basketball hoop, slide, and lots of jumping fun! This combo piece in Arena B has two interior slides, obstacles, floor games, and basketball hoops with plenty of room left for bouncing. 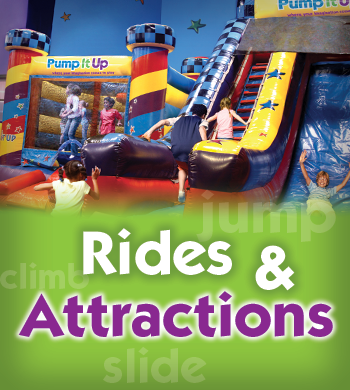 Compete with your friends to see who can dash through the obstacles and get down the wavy slide first! Will you conquer the slope and be the victor? 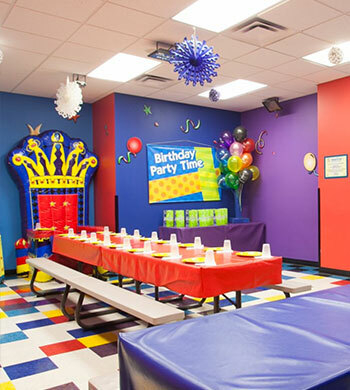 Spend the final 50 minutes of your private birthday party here! Our staff does all the set up, helps with food service and will clean up afterwards. The Guest of Honor sits in an inflatable throne at the head of the table. 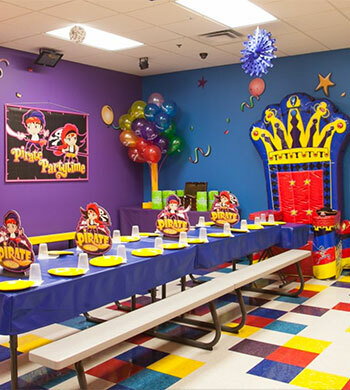 Our party packages include the tableclothes, plates, cups, utensils and napkins. You can also add on balloons, goodie bags and even a party theme like Pirates shown in this photo! You can also add on balloons, goodie bags and even a party theme like Super Hero, Pirates or Glow!